The self-styled ‘Special One’ is expected to return to Stamford Bridge this summer after a below the par season with La Liga giant Real Madrid and Chelsea have been warned he is not the same manager as the one who left in 2007. While Chelsea fans all over the world are elated that Mourinho will be the manager in charge when the new season commences, Vilarrubi says he won’t miss Mourinho when he leaves Real Madrid and Spanish footbal. He has also warned that his spell with Chelsea will end in disaster. Vilarrubi told the Daily Telegraph: ‘It is not good for English football. Chelsea maybe think they had a good time from him in the past. 'But you will see the real Mourinho now. If he behaves like he did in Spain it will only be an unhappy relationship. A disaster. And at his age he is not going to change. 'My position is not because he was the coach of a rival. But because of who he is and what he did. His three years in Spain he only creates disagreements, arguments, there is nothing positive he brings. 'You can learn good things about life from watching people in football, or the circus, or the opera. There was nothing he brought that was good. There was no positive balance. I cannot see anything good about him. Not one thing. In sporting terms, maybe I am not the person to ask. But in cultural terms, he was a disaster. Vilarrubi also accuses Mourinho grabbing the limelight for himself rather than praising his team. 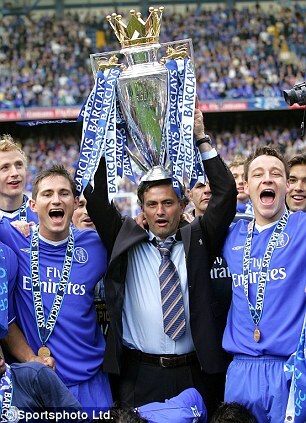 He added: 'A coach you would think wants to celebrate with his players, enjoy the moment. Not him. He is thinking of himself. I don’t know what is wrong with him. In his mind there is something wrong.